To adhere to the highest quality of products, prompt delivery and reliability. 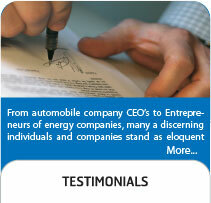 To partner our customers in growth with top quality products and proficient service, at competitive prices. At APL®, quality is not just a terminology with frequent usage but a way of life. For this, quality control checks are done at every step of manufacturing. All its products also adhere to the specified industry standards. 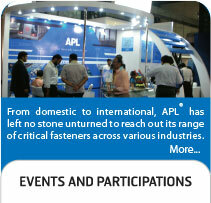 Simultaneously, APL® has taken bold steps to attain its goal of ‘Zero-Defect’ output. Further, APL® has employed professionals in every department. Right from engineers in its factories to the customer service personnel in marketing cell, its proficient team is well-versed with technical and commercial procedures that enables them to meet challenges in the domestic and global, markets. 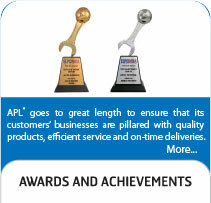 APL® thus ensures its customers of quality products, reliable service and speedy deliveries. At APL®, high-end equipment and ultra-modern technologies rule the roost. The company showcases its own state-of-the-art unit in Palghar, Thane Maharashtra. The plant is spread over an area of lavish 1,90,000 sq. ft. and is well-connected with major transport and telecommunication systems. Presently APL® manufactures a plethora of fasteners that are employed by the Railways, Major Electricity Boards, Consumer industries, Home Appliances, Electronic industries and more. 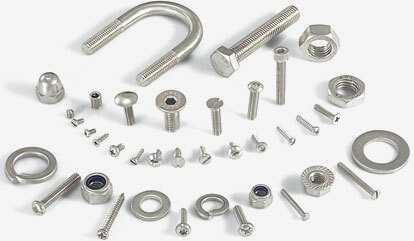 But using the latest technology and maintaining its machinery in ace condition, APL® offers fasteners that range from M1.6 to M24 and 1/8th to 1.1/4th both metric and imperial, standards.